For decades, nutritional health experts have been stating that 3 to 5 servings daily of fresh vegetables are necessary to maintain vital health, yet statistics prove that less than 10% of adults meet this daily recommendation. LIFE’S GREEN ESSENTIALS™ is a highly concentrated, completely absorbable, whole-food nutrient powder containing living properties such as Enzymes, Essential Fatty Acids, Protein, Fiber and Antioxidants in a bio-available whole-food form. 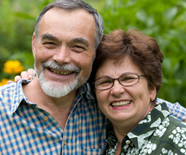 These nutrients have not been altered and remain in their naturally occurring state. 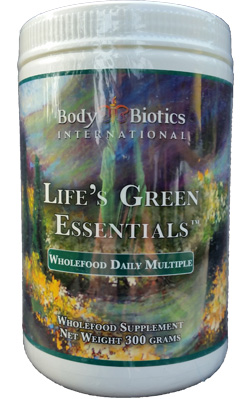 As a whole food complex, LIFE’S GREEN ESSENTIALS™ contains hundreds of nutrients that the body selectively identifies and readily absorbs based on our individual daily nutritional needs. LIFE’S GREEN ESSENTIALS™ offers you a complete and balanced natural alternative to the more common isolates and synthetic nutrients. One daily serving of LIFE’S GREEN ESSENTIALS™ is the equivalent of 8 to 10 servings of vegetables.